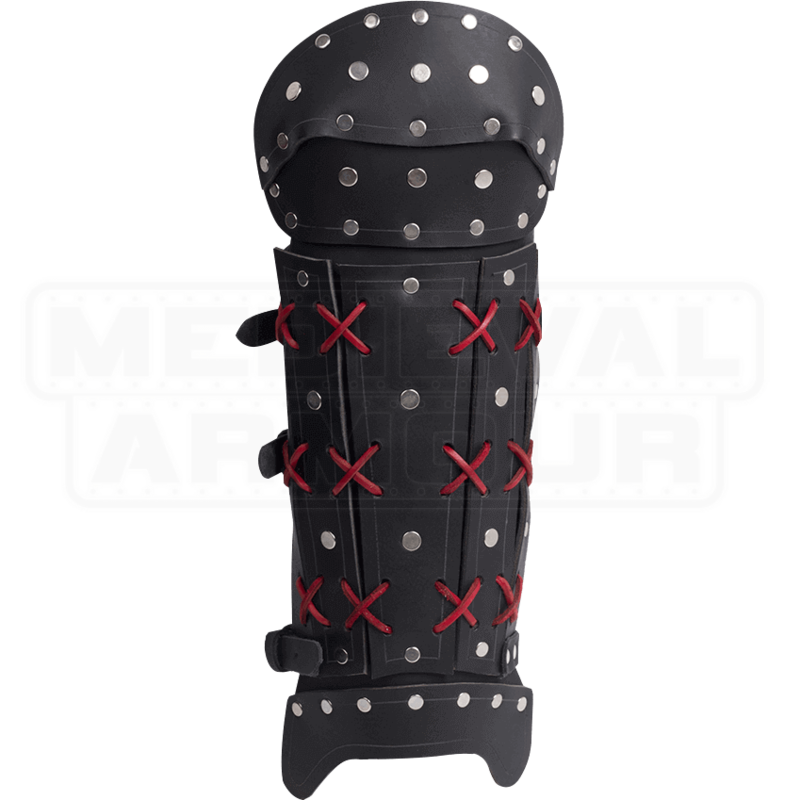 Inspired by the armour worn by Japanese samurai warriors, the Leather Samurai Greaves are a spectacular choice for any LARPer who desires suiting up in the regalia of these elite warriors and bringing honor to the battlefield. These leather greaves employ a plated design for superb flexibility, featuring trapezoidal plates upon the shin which taper toward the ankle. Furthering this sought after flexibility, this design features a rounded knee guard and an ankle guard which attach to the main shin section with strong but supple pieces of leather. Three adjustable leather straps are used to secure these greaves to the leg, located at the ankle, calf, and just below the knee, to ensure a comfortable fit. 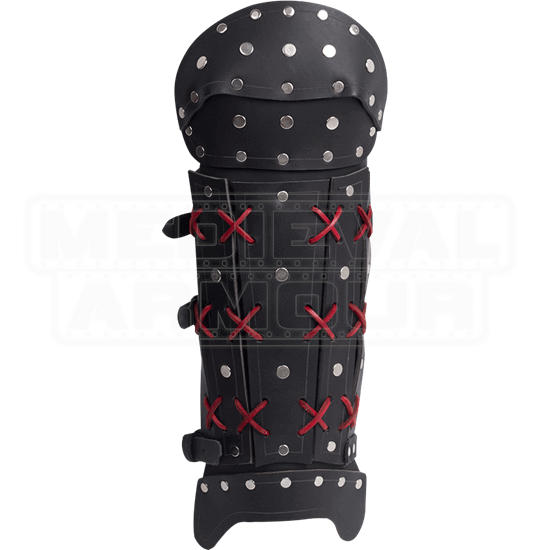 The Leather Samurai Greaves are a magnificent piece of LARP armour, which are greatly complemented when worn with other pieces of matching samurai armour (RT-225 through RT-229).